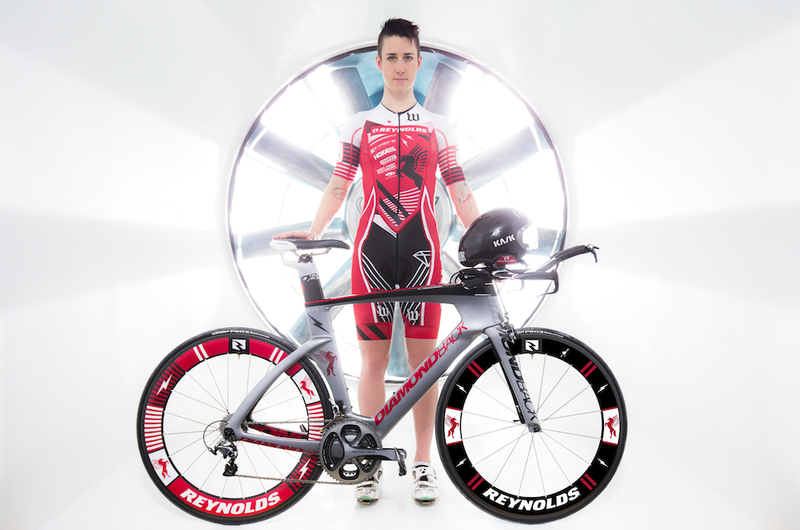 KENT, Wash. - March 17, 2015 - Diamondback Bicycles announces the addition of up and coming triathlete, Rachel McBride, to its athlete roster for 2015. A relative newcomer to the triathlon world, Diamondback has already made considerable waves this season with the introduction of its first tri bike, the Serios, as well as partnering with the popular Wildflower Triathlon event. 2015 marks McBride’s fifth year competing, and her first race of the season will be at the Wildflower Triathlon, May 2 in Lake San Antonio, California. McBride will be riding the Diamondback Serios AF and will be working closely with the Diamondback team in the wind tunnel to ensure that she will be as fast as possible. McBride currently lives and trains in Vancouver, British Columbia where she is coached by Cliff English. She is a two-time Ironman 70.3 champion and three-time course record holder -- Ironman 70.3 Calgary, Canadian National Championships and Squamish Triathlon. On the bike, accomplishments include six-time Ironman 70.3 first-off-the-bike and eight-time Ironman 70.3 fastest bike split. In addition to Diamondback Bicycles, McBride’s sponsor include Reynolds Cycling, Wattie Ink, Hoka One One, Compressport, Blue Seventy, West Point Multisport, Eload, Summit Sports Nutrition, Hyphen8tion Studios, ISM Saddles, and Hornby Island Energy Bars. Born in Camarillo, Calif., in 1978 and today based in Kent, Wash., Diamondback designs and builds performance bicycles for every rider at every level. From its roots in the BMX world to new innovations in road, hybrid and full-suspension mountain technologies, Diamondback continues a legacy of building the finest bikes for today’s most aggressive riders. It takes generations to build a legacy of quality. We are performance driven, to perform at every level. Diamondback is for fun, for health—for life. For more about Diamondback Bicycles, visit www.diamondback.com.